Maria Avgitidis is available for media interviews and can provide dating expert insight on love, relationships, and modern dating trends. Maria Avgitidis is the CEO of Agape Match, a high end matchmaking service in NYC that provides executive matchmaking for exceptional singles. Her experience and expertise in matchmaking is in a class of its own. For over ten years, she has successfully combined a four generations of family matchmaking tradition with modern relationship psychology and search techniques to help her professional clientele find their ultimate mate. Maria’s use of time-honored intuition along with matchmaking methodology that leverage each client’s unique Attachment Style and preferred Love Languages has helped her make successful introductions and garner national acclaim. 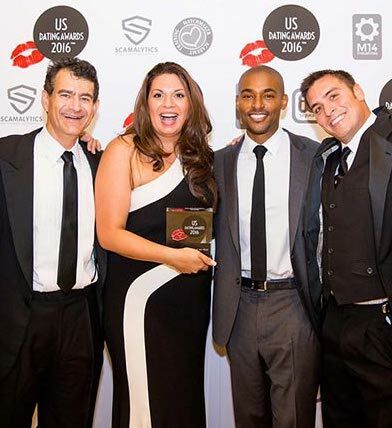 Awarded “Best Matchmaking Agency” at the 2016 US Dating Awards and listed by Time Out NY as the “Best Matchmaking Service” in New York City, Maria Avgitidis continues to garner praise and accolades. Her matchmaking and dating expertise has been featured in numerous publications, including; The New York Times, The Financial Times, Fast Company, CNN, Esquire, Elle, Reuters, Vice and, Thrillist just to name a few. For press inquiries, please email us directly at press@agapematch.com or give us a call at 212-363-0486.